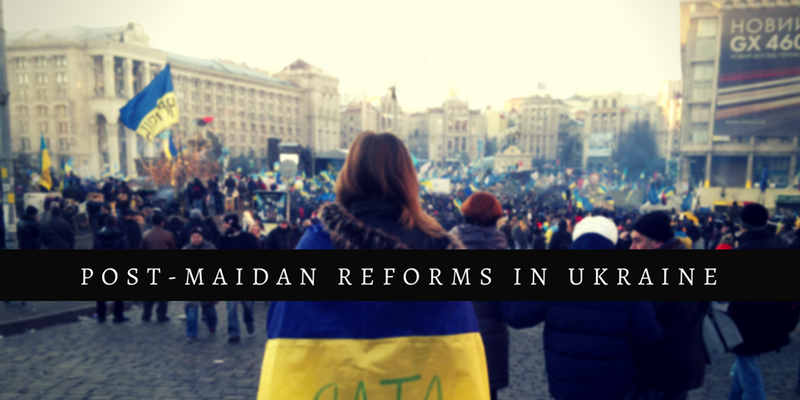 Following the 2014 Revolution of Dignity, Ukrainian civil society has engaged in an ongoing campaign for institutional reforms that enhance government accountability and increase transparency. This campaign produced several early victories, such as government agencies tasked with investigating, prosecuting, and preventing corruption. Yet progress has slowed, leaving major goals unfulfilled. The system is fundamentally unaltered. Despite some improvements, Ukraine remains the most corrupt in Europe, according to Transparency International’s Corruption Perception Index. Civil society was the main driver of anti-corruption reforms, which were among the most prominent demands of the Maidan. Recently activists have been experiencing increased government pushback and persecution, which threaten to stall the process permanently. Kaleniuk and Shevchenko will discuss the role civil society has played in the reform process, particularly in designing and deploying anti-corruption tools that have markedly increased government transparency. They will also discuss prospects for furthering reforms and maintaining Ukraine’s pro-democratic course. Taras Shevchenko is the founder and executive director of the Center for Democracy and Rule of Law, a Kyiv-based organization that focuses on civil society development, independent media, and fighting corruption. In 2016-17, he was Board co-chair of the Reanimation Package of Reforms, a coalition of Ukrainian NGOs that develop and advocate for reform implementation. Mr. Shevchenko is currently in the US as a World Fellow at Yale University. He holds a Masters in law and a Masters in economics from Kyiv National University. Daria Kaleniuk is the executive director of the Anti-Corruption Action Center, which she co-founded in 2012. She is also a specialist on stolen assets recovery and anti-money laundering initiatives. Her work has attracted international media attention, including features in the New York Times, the Economist, and NPR. In 2010-11, she studied on a Fulbright scholarship at Chicago-Kent College of Law, where she earned a Master’s degree in Financial Services Law. NED President remarks from his speech at the Ukrainian American Bar Association.